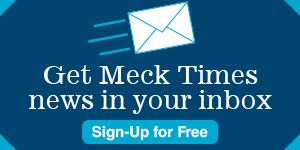 Please click here to subscribe to The Mecklenburg Times newspaper, purchase or inquire about a Mecklenburg Times product, change your address, renew your subscription, report a lost or missing newspaper, obtain a back issue, or contact the circulation department. Do you need assistance with any of our internet services? You can sign up for our email alerts or contact our web staff with questions or suggestions. Our editors would like to hear from you. Click here to contact the editor of The Mecklenburg Times. Customer Service – Call 1-877-615-9536 or email service@bridgetowermedia.com. If you need to have a missing or damaged newspaper re-delivered, please call 1-877-615-9536. Click here for more information or to place display or classified advertising in The Mecklenburg Times newspapers and on The Mecklenburg Times website.